You're not always around to make sure that your home is safe. Or to see where the dog's hidden your shoe. Nest Cam lets you check in - even when you're out. Stay connected to what matters to you. Get alerts when something happens. You can't always be watching your video feed. So Nest Cam looks for motion and listens for sound. If something's up, it sends an alert to your phone. Nest Cam has a mic and speaker. So you can hear what's going on and talk back using the Nest app. 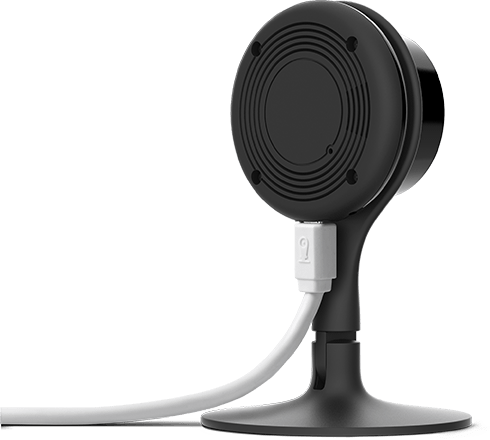 When someone is about to speak, Nest Cam will chime to get your attention. Stream securely to your phone, tablet or laptop in super-clear 1080p HD. Get a 130° wide-angle view of the room. Or zoom in and enhance for a closer look. Night Vision LED sensors let you see the whole room at night so that you can check on the baby. Your home - and video - should be private. 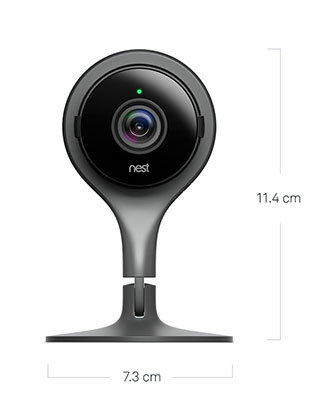 That's why Nest Cam uses bank-level security with 128-bit SSL encryption, Perfect Forward Secrecy and a unique 2048-bit RSA key. Nest Cam only takes a moment to set up. Just plug in the power cable, download the app and set it up from your Android or iOS device. 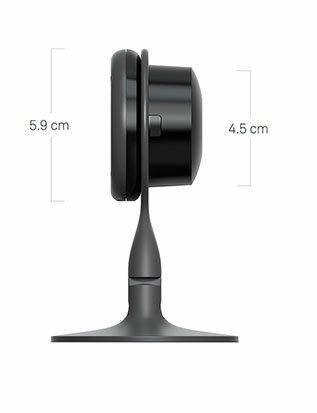 Nest Cam’s magnetic stand works in all kinds of homes, on all types of surfaces. Screw it into the wall, stick it to something metallic, set it down on something flat or attach it to a standard tripod or mount. At 720p, each camera requires an average of 200 kb/s of upload bandwidth and support for peak rates of 500 kb/s of upload bandwidth. At 1080p, each camera requires an average of 450 kb/s of upload bandwidth and support for peak rates of 1,200 kb/s of upload bandwidth. If you subscribe to Nest Aware, your camera streams all video to the cloud for secure offsite storage. At 720p, this requires 60 GB of upload bandwidth per month. At 1080p, this requires 140 GB of upload bandwidth per month.